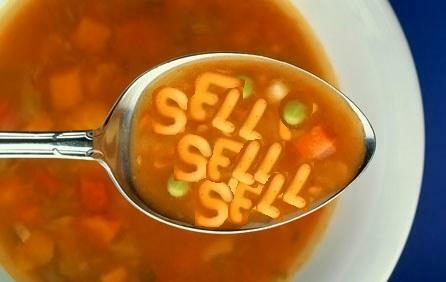 Alphabet Soup into Sales? | ProResponse, Inc.
CRM, BDC, SEO, DMS, ILM….When will someone turn this confusing alphabet soup into sales? Last year, I was in Orlando, Florida playing golf at the renowned Celebration Golf Club. The club starter paired me up with a nice, British gentleman who just happened to be on a Disney World vacation with his family. After we played three holes, this nice chap asked me the inevitable ice breaker, “What do you do?” “CRM,” I replied, hoping he wouldn’t ask me to explain the ever-changing, chameleon definition of CRM. He chirped right back, “Me, too!” As it turns out, this gentleman was the Chief Information Officer for an international company that had one and only function: to dismantle multimillion dollar CRM systems that never worked! I asked my new friend why these seemingly successful companies wouldn’t work properly and he explained the two basic points of failure: lack of adoption by the end-users and, ultimately, over-promised results by the vendors. He described a letter that he had mailed to a number of the top Fortune 500 companies. In this letter, he challenged Presidents, CEO’s and other top executives to describe — in 50 words or less — their interpretation of CRM. “I’m dying to hear the results,” I stated, as I lined up an easy putt. A broad grin spread across his face and his eyes sparkled. “Of the over two-hundred responses I received, no two were alike.” I almost missed the putt! So, what does CRM mean to you Mr. Dealer? Isn’t the focus of CRM — that is, to say, customer relationship management — customer retention and prospect follow-up? Countless fortunes have been spent on cookies, calendars, flowers, ball point pens, key chain flashlights and vinyl trunk accessory kits with not even the slightest modicum of measured success. Additionally, more money has been thrown at bloated, over-complicated, misunderstood software that goes unused and unproductive. When is someone going to turn all of this motion into profit? Customer relationship management is about relationships with customers! It’s all about the customer! Managing Internet leads may be a necessity, but Internet lead management is not CRM — it’s just a small piece (ILM) of an ever-growing puzzle. I’ve discovered — and I’d be hard-pressed to find many people to disagree with me — that it is always better to learn from the mistakes of others. Over the past 15 years, our industry went through the same expensive learning curve that I see most dealers going through now. They tried one CRM vendor after another; seeking an easy, workable, profitable solution that provided both customer satisfaction and return on investment. A lucky few discovered their solution while many others gave up in disgust, all the poorer but perhaps not the wiser. My company, ProResponse, was started in 1998, prior to the advent of CRM as it is “understood” today. Before the acronyms and market-speak, CRM was simply called, “Follow-Up”. Yes, you read that correctly! Old-fashioned follow-up — CRM before CRM lost itself. Old-fashioned follow-up is the very solution that negates the requirement for a so-called CRM system. In other words, if every one of your sales personnel diligently did their follow-up on a daily basis, you wouldn’t need a CRM. The number one reason why some CRM’s are doomed from the beginning is that they don’t get Buy-In from your managers and sales staff. Do not underestimate the importance of the buy-in. The sales personnel are the ones who will be tasked with using the system every day, not the dealer principals. If they don’t like it and don’t perceive value, they will find ways around it and then you just spent a whole lot of money for nothing in return . After you’ve evaluated various CRM’s, pick two or three solutions you think will fit your dealership needs and have them present their solution to your managers and sales reps. Get their vote! Get them involved in the selection and they will take ownership much more enthusiastically. Now it’s their system! Here is another tip: When you’re interviewing CRM companies, ask them who else in your area is using their system. Vendors can’t resist beating their chest and telling you all the dealers that have signed up with them. Great! Now you know what your competitor is using. But, what’s the real point of that question? How many dealerships do you think a prospect shops before they finally buy? Three? Four? Five? If you and your nearest competitors have the same CRM, what is your “Advantage”? None! You need a competitive edge in your marketplace. Demand some level of exclusivity from your CRM vendor! That is, if they truly bring something to your dealership that is unique, powerful and you believe will help you beat your competition. The number two reason: the system is too complex for the users. Many CRM vendors try to “out-bell and whistle” their competitors by selling dealers systems they should be selling to computer programmers, not sales professionals. Your CRM should do the work, not you! You shouldn’t have to hire full time I.T. personnel to operate your CRM! • Your system should be able take in all Internet leads, phone and floor prospects, and sold customers into one database. • It should link up with all telephony companies (such as WhosCalling, Call Source, Call Bright, etc) for easier call tracking. • If you have IDS, ADP or Sys2000, your CRM should automatically pull your sold and service customers every day. The process should be seamless and simple. Now, once the data is in your CRM how easy is it to data mine and target-market to various segments of customers and prospects via mail and email? Too often, companies tout themselves as CRM’s but they are just ILM’s on steroids. They pull in all web hits and link up with your Internet lead providers then they give your sales reps and managers the unenviable task of having to navigate a myriad of screens to do even the simplest of tasks. When such a simple process becomes tedious, your people will find other things to do to avoid interacting with the system — it’s just human nature! What if none of your sales reps have PC’s at their desk? Can you still have an effective CRM without computers? YES! Of course, you can’t get your Internet leads without a PC, but you can absolutely do everything else! There’s only one company out there that doesn’t require you to buy any computers and still provides a complete and robust solution that is simple, very effective and affordable. Take a guess who it is! The third reason: management fails to both ensure compliance and measure results. I am sure you’ve heard the saying: If you don’t inspect, you can’t expect. When I was in the Marines, a Colonel had a plaque behind his desk and it read: The NCO is the backbone of the Marine Corps. However, he is sly and cunning and bears considerable watching! Do you know a few sales reps like that? It’s very easy for managers to get distracted. A totally committed and competent sales manager can walk into the dealership at 8:30 AM fully intending to facilitate his or her CRM tasks. A service issue comes up, then maybe a couple of phone calls, an appraisal, the advertising needs copy changes and — all of a sudden — it’s lunch time. If you look at the best dealerships, they have great strategies but more importantly, they are the maniacal implementers of these strategies. What is the key to being consistent and effective? It has to be simple. For example, a simple, ten-minute sales meeting: review your hot prospect report with your sales team every morning, first thing! You can do one-on-one’s or all together, but get it done before you start your day. A recent study concluded that salespeople spend 13% of their time actively pursuing the sale. The other 87% of the time falls in to the “undetermined” category. Managers will lament on the laziness of their salespeople but fail to task them with daily agendas, work plans and call reports. Don’t skip this meeting for any reason; it’s a ritual that all successful dealerships adhere to and, if you make it your habit, it pays off in additional sales. Then, on a monthly basis, review your sales statistics from a dealership perspective and also for each sales rep. You need to evaluate the total picture. You should be able to easily see phone ups, phone ups showed, Internet ups and Internet ups showed, be-backs and referrals sold, etc. And, you should be able to see closing ratios for each sales rep so you can identify his strengths and weaknesses. If you see a sales rep taking 30 phone ups and only 3 turned into appointments showed, then he needs some phone training or you need to keep him away from the phone because he is blowing opportunities. The same thing applies to demos, write ups and be-backs. As a manager you need these reports to ensure compliance and to help you build a strong sales force. who didn’t buy from you. That’s 5,400 prospects a year that you paid to attract to your dealership. Did you take the time to record those prospects during the good times or were you so busy, your sales reps just blew them out and took the next up? By taking the time to get that prospect information in your database, you could do some simple data mining and target marketing when you need to generate sales during slow times. There’s gold in them thar databases! How many sales do you lose each month due to a lack of consistent follow-up? If you have 10 sales reps, odds are pretty good that at least half of them lose a deal each month! DO THE MATH! Five sales a month means the loss of 60 Deals per year! If you really want to get depressed, multiply that by your average gross! That’s a ton of profit gone to your competitor! Reason #4 is, most CRM’s do little or nothing to build Customer Relationships! Why in the world would dealerships spend tens of thousands of dollars, every month, on ads designed to attract the least loyal, most price conscious and difficult prospects into dealership showrooms only to have their sales reps drop the ball when it comes to consistent, professional follow-up. Who was the most successful salesperson that you have ever come across? I have asked over 5000 salespeople this question at the beginning of each ProResponse installation. I have been told thrilling tales about some of the best of the best. High achievers that have made their mark selling and holding gross. These chosen few are enjoying incomes that should make the rest green with envy. I push the attendees of my meetings to discuss the traits of such superstars. We talk about charisma, rapport building, dynamic product presentations and negotiating skills. At this point, some of the class actually start to show signs of depression; realizing that some of the traits that are being discussed may in fact be God given and that all of the training in the world won’t turn Joe Isuzu into Joe Verdi. With a little further prodding the class comes to a startling conclusion; the common trait that most ultra successful salespeople have is that they simply have more people coming in and asking for them each day. Be-backs, referrals and repeat customers. Think back to the most successful salesperson that you ever worked with. If you took the time to reflect back and identify a top performer from your past, that person may have been the most charismatic, the best product presenter and the slickest negotiator but chances are what set that person apart from the rest was the size of his customer base and how it was utilized. All of our objectives as a retail business will be more easily accomplished with a steady supply of local, loyal prospects and customers. Repeat and referral customers bring the highest gross! Your CRM should follow-up every Internet lead, phone and floor prospect as well as sold customers for at least 8 years. If you aren’t communicating constantly with your prospects and customers then you’re sales people are just wasting time in front of a computer screen. Write them, email them and most importantly…call them. When it comes down to it, computers don’t sell…people do and it’s simply about the relationships we build with our prospects and our customers that will ensure our future.